.....well then, let us BEGIN! Life at the Lake of the Ozarks, like any place you will live is what you make of it! The one thing that this location provides you with is OPPORTUNITY! Where else can you wake up in the morning with the Sun beaming off the water as you drink your morning coffee. Then spend your day fishing and relaxing or swimming with the kids till they are worn out! Later that evening enjoy a leisurely boat ride to one of the MANY lakeside restaurants for dinner and something cold to drink! The best part is the NEXT DAY, you get to DO IT ALL AGAIN! Troy Meyer has been in Real Estate since 2002, when he owned his own real estate investment business in Kansas City. Since transitioning to the Lake of the Ozarks in 2012 and becoming a full time (PLUS) real estate agent, he has had the occassion to meet and work with some amazing folks. 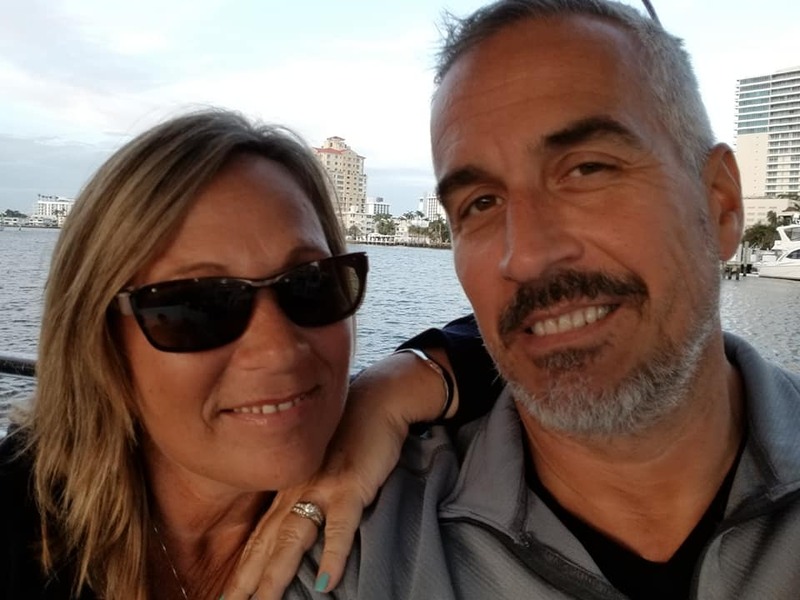 Donna and Troy work in the same office together and Troy handles all the Buyers in their office, while Donna is the go to person for your Listing needs. This works out so well for them as Troy can concentrate fully on finding that right house for his clients, while Donna can devote all her time to getting that Listing sold for her clients, without the distractions of working both sides of the coin. This is a luxury most agents aren't afforded and they take advantage of it fully! You will see that in the CUSTOMER SERVICE that they provide. They pride themselves on what they call a full hand-hold experience from beginning to end of the transaction and many times clients have become friends! Check out any one of Donna's FEATURE LISTINGS! If one of Donna's Listings wasn't exactly what you were looking for, click here to search other homes that are ACTIVELY on the market! Call, text or email me with any and all questions you may have. I'm here to help you, NOT to bug you or harass you with a bunch of unwanted emails and/or phone calls!!!! Well from the first time I met Troy it felt like I had known him for a long time and since I have in my eye built a lasting friendship. Troy's knowledge of the area as well as getting to know his clients to meet there needs, I do recommend Troy Meyer if you are in the market to buy a home at the Lake. My situation was very unique to say the least but Troy and his wife Donna made this happen for my family and I appreciate everything they did for us during this time it truly was stress free. Bought a Single Family home in 2018 in Sunrise Beach, MO. Troy was our agent when buying a home. He was patient and accommodating with his time. When we found the house we wanted to buy, there were a lot of obstacles when dealing with the seller. He went over and above to help make the deal happen. He is an excellent agent. We highly recommend him! Bought a Single Family home in 2018 in Climax Springs, MO. Troy was very helpful finding our dream home. Anytime we had questions he responded in a matter of seconds. We feel he truly works hard at his job and cares about his buyers. I would definitely recommend him to find your dream home!!! Bought a Single Family home in 2018 in Osage Beach, MO. Troy and wife Donna work so well together like a fine tuned vehicle humming along. Fast and accurate!! We felt we needed to act quickly on this home and Troy made it happen!! Sold a home in 2017 in Roach, MO. Troy handled the sale of some lake property. The negotiations, contract, and closing paperwork were as seamless as they could have possibly been. Troy stayed in contact with me from the time the property was listed until it was closed. The personal communication was great to know that even with all the properties available to sell he maintained a constant awareness of my property. I will certainly use him in the future and would highly recommend his services if you are in need of a responsive and quality realtor. Bought a home in 2017 in Proctor, Gravois Mills, MO 65037. Bought a Single Family home in 2016 in Roach, MO. Troy helped my family and I buy our first lake home and he takes a personal approach with his clients; concerned with both their home-buying experience as well as their long-term happiness with their decision. He's there every step of the way as well as after! He rocks! Bought a home in 2016 in Purvis, Sunrise Beach, MO 65079. Bought a Condo home in 2017 in Osage Beach, MO. roy is awesome to work with. I would recommend him to anyone!!! I was having trouble with my lender and he helped me find another who got my sale done in record time. Bought a home in 2017 in Purvis, Sunrise Beach, MO 65079. Fantastic and attentive to all details. Went way beyond merely selling us our home. Provided references to local trades people, advice about matters related to our new neighborhood, and was always available to provide answers to any questions before, during and after purchase. Bought a Single Family home in 2017 in Osage Beach, MO. Working with Troy was great! He helped us every step if the way. Every time I texted him or emailed him he responded within minutes. If we ever buy or sell again we will definitely call Troy. Thanks for everything!! Bought a home in 2017 in Hahatonka, Camdenton, MO 65020. We were looking for a quality home on the lakefront. Troy showed us many homes most of which were not up to our standards . He was patient and helped us find a home , it was a rough ride but he didn't quit he kept working for us. I feel like I came out with a great home and a good friend. Thanks Troy !!! Showed home in 2017 in Mill Grove, Spickard, MO 64679. We were unfamiliar with the Lake of the Ozark and Troy spent the weekend showing us homes that fit our criteria! We haven't planned on buying a house that fast, but with Troy's help we found the perfect home! We would highly recommend Troy Meyer! Bought a Single Family home in 2017 in Camdenton, MO. Troy was amazing we came to the Ozarks with no knowledge of the area and a very strict criteria, within 3 days Troy found us a home. Went way above and beyond what was necessary to help us get the right house.